Whether you share the ancient philosopher’s abhorrence at the mere thought of a man in the kitchen, his dislike of knives is more understandable. 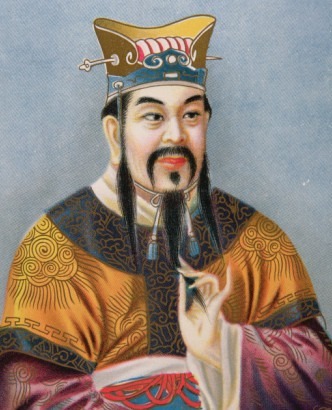 Confucius equated knives with acts of aggression, which went against his non-violent teachings. 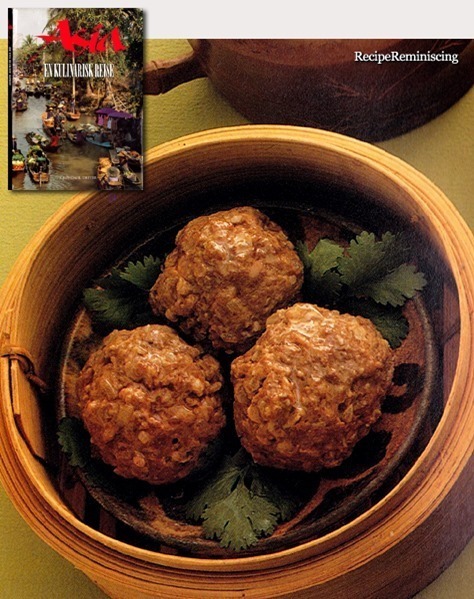 Some experts credit his influence with the widespread adoption of chopsticks throughout China; scholarship had triumphed over the warrior lifestyle. While the precise origins of chopsticks are unknown (the first chopsticks may have been twigs used to spear a roast cooked over an open fire) they were definitely in use by the Shang dynasty (1766 BC – 1122 BC). 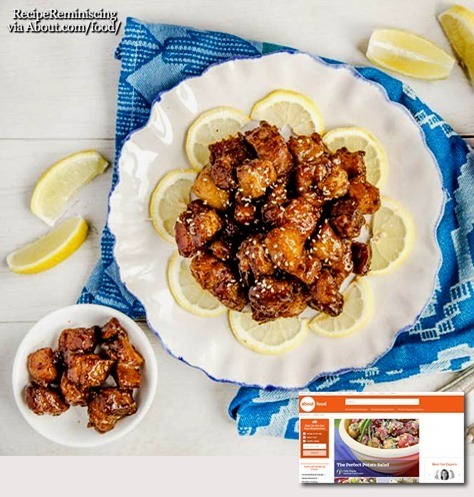 Their enduring popularity since that time may actually be linked to Chinese cooking methods – before stir-frying the food is cut into tiny pieces, making them easy to manipulate with a chopstick. Here in the west, where fork eaters are in the majority, it is sometimes easy to forget that the fork has only recently become an essential item at the dinner table. True, the Byzantines used forks in the 10th century, and Catherine de M’edici introduced the pointed tines to the French court in the early 1500s. But in the United States, it wasn’t until the eighteenth century that people felt the need for more than a knife and spoon. By contrast, chopsticks have been the utensil of choice throughout all of China since the Han dynasty (approximately 200 BC to 200 AD). Chinese chopsticks are normally made of unfinished wood or bamboo. 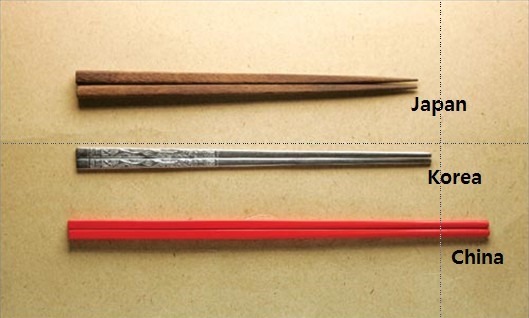 Japanese chopsticks are normally made of lacquered wood or bamboo. Chinese chopsticks taper to a blunt end. Japanese chopsticks taper to pointed ends. 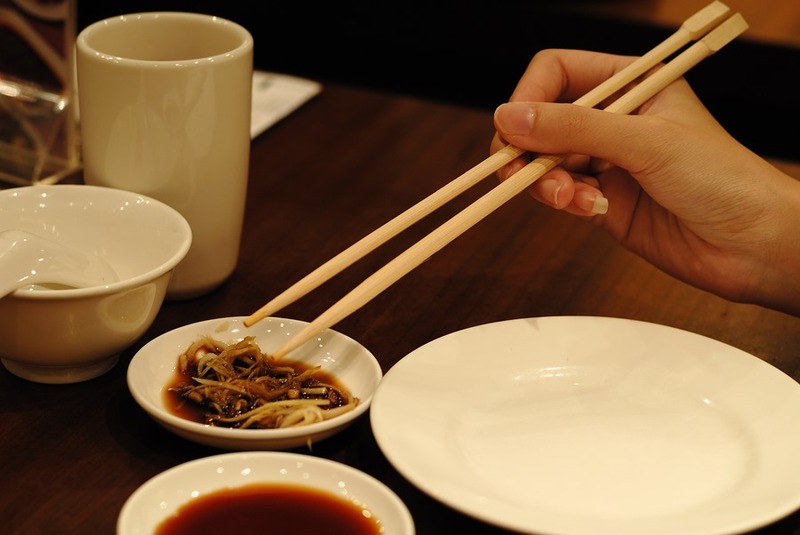 Today, chopsticks are growing in popularity in non-Asian countries. And why not? After all, if you can handle rice with chopsticks, why not linguine? But I have a confession to make. Despite my love of Chinese cuisine, I am a bit of a klutz with chopsticks. 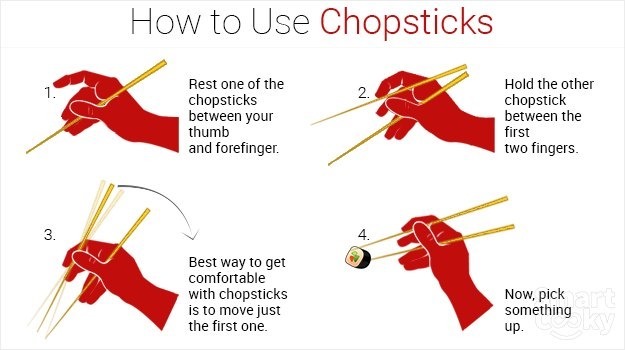 Somehow I’ve never fully mastered that delicate art of holding the bottom stick stationary between my thumb and fourth finger, while using the tip of that same thumb and my index and middle fingers to manipulate the top chopstick, in order to capture a bite-sized morsel and steer it toward my mouth. Being left-handed only complicates the whole process. Still, I must agree with Asian food aficionados who won’t go near a plate of Ginger Beef without their “Kuai zi.” (The word “chop” is pidgin English for kuai, which means quick or speedy). Just as coffee loses some of its tangy essence when served in a Styrofoam cup, Chinese cuisine simply tastes better eaten with chopsticks. And there are distinct benefits to having to work a bit harder to obtain your food: for one thing, it forces you to realize exactly how much you are eating.